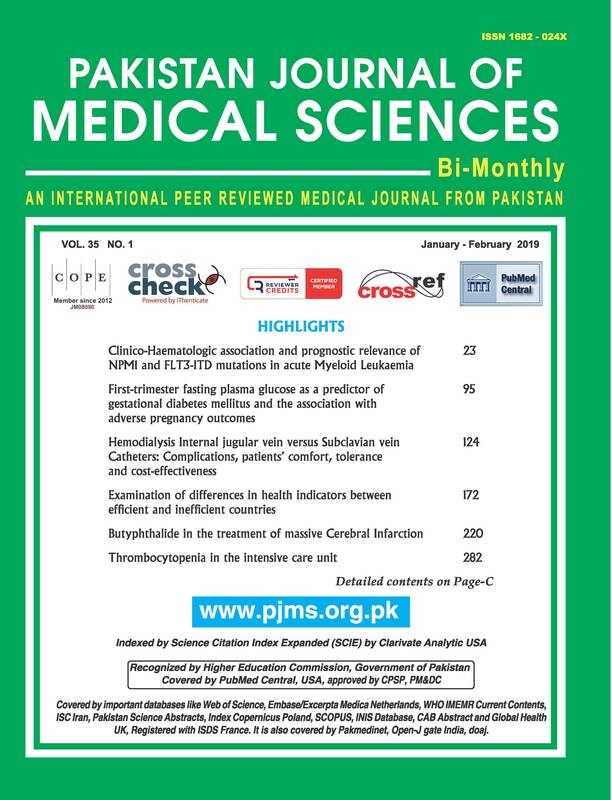 Objective: To determine the frequency of disease staging according to international scoring system in patients who are newly diagnosed with Multiple Myeloma (MM) at a tertiary care hospital at Karachi. Methods: This single center, non probability consecutive, cross sectional study was conducted from Nov 11, 2015 to May 11, 2016. After taking informed written consent, detailed history was taken and serum β2 microglobulin and albumin levels were checked to assess the study outcome variable i.e. stage of MM. All the collected information was entered in the prescribed performa. Results: Eighty newly diagnosed patients with multiple myeloma as per inclusion criteria were included. Sixty seven (83.75%) were male and 13(16.25) were females, with mean age of 58.35+10.077 years. Twenty seven patients (33.75%) were found to have stage-I disease, in 23 (28.75%) stage-II and stage-III in 30 (37.5%). Conclusion: Multiple myeloma is relatively common in 5th decade, with male predominance. International Staging System have great potential for characterizing and stratifying multiple myeloma and revealed a predominance of advanced stage III disease in our setting.